Command Prompt and Telnet, the basics. I mainly use Telnet to test whether a port is open to a certain server or website. Suppose that e.g. port 25 is not open to an SMTP server, it cannot receive e-mails because e-mails go over port 25. This can deviate from port 25, but I will not go into that any further. Occasionally I get the error message ‘‘Telnet’ is not recognized as an internal or external command, operable program or batch file‘ when I try to use Telnet for the first time on a new server. You get this error message because you have not yet installed Telnet in the Windows Features. 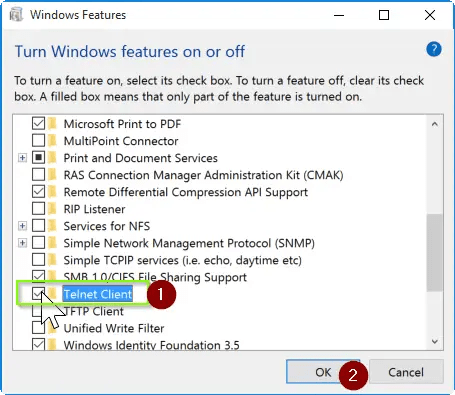 In the following post I explain how you can enable the Windows Feature for Telnet so that you do not get the error message ‘Telnet is not recognized’ anymore. Installing this feature has no further consequences for other roles or features. Let’s fix ‘‘Telnet’ is not recognized as an internal or external command, operable program or batch file‘. For the system administrators among us. Telnet is a Windows Feature that you can install in Control Panel under Turn Windows features on or off. You can also follow the screenshots below if you do not know where this feature can be found. Or press CTRL + R at the same time and type in Control. 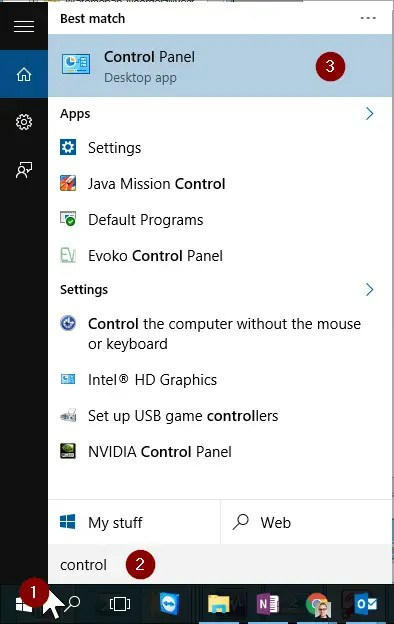 Go to the search bar in the upper-right corner. You can also press CTRL + F to type directly into the Search bar. 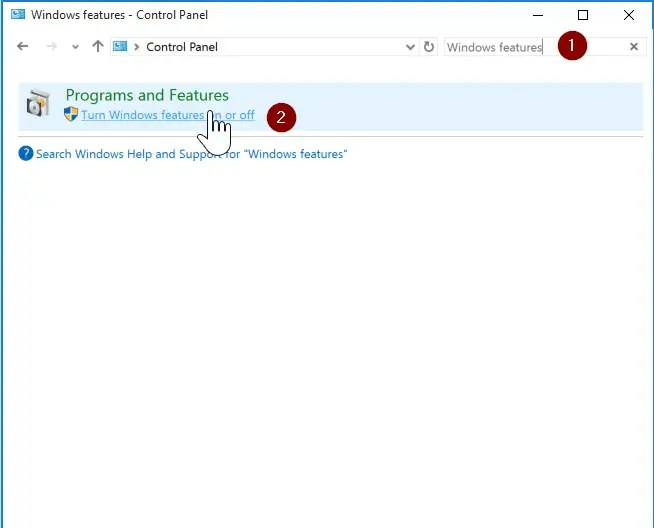 Search for Windows Features and open Turn Windows features on or off. Search for Telnet Client or start typing Telnet. Check the box next to Telnet Client and click OK. The Telnet Client will now be installed as a Windows Feature. Wait until this process is finished. Adding a Windows Feature is not always without consequences. So do not just click everything before you know what you are doing. The Telnet Client is no problem. Do you have questions or comments about this blog post? Then you can leave a comment. For more about Telnet, click here. 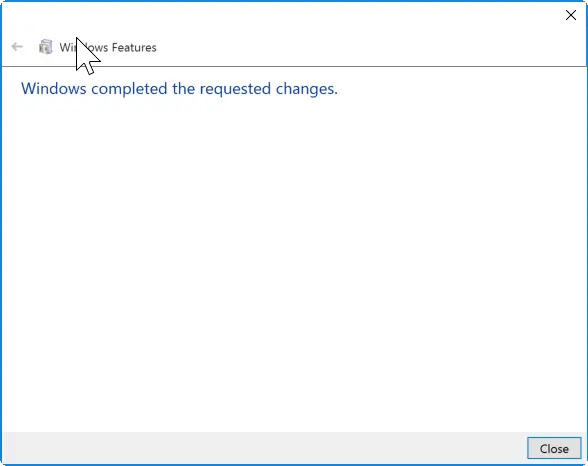 Yes no message to say that “windows has completed changes. Box is ticked but no activation. Tried a reboot but no success.